Some people may think, that even though travelling with a camper equals independence, caravanning enthusiast are limited by the borders. Not by the country borders– here we’re talking about borders of continents. There’s a belief, that if you’re not a millionaire, going to Canada or USA with a camper will remain only in the field of dreams. Yet, it’s not like that. One must admit that such trip doesn’t belong to the cheapest, however with a little bit of persistence, ability to save money and organizational skills you can spend a dream holiday overseas without having to take the credit. Tourists going to Canada don’t need a visa unless they intend to stay there longer than six months. The earlier you book your airline tickets, the better - for example, with two months in advance, you will pay less than 3 thousand PLN for a round-trip ticket (such prices are given by CenterFly). Prices vary a lot, so it’s important to knowingly look for promotions. After booking our tickets, we have to book a camper. In Canada, there’re many companies involved in renting such vehicles (they’re called there "recreational vehicle" or RV), so finding one that it’s best for us, won’t be the least problematic. One of them is Cruise Canada, having its departments in the major cities of the country. The cost of renting a four-person camper for a period of 10 days (when booking two months in advance) may come to $ 1,100, which is about 3,400 PLN. As you can calculate, it’s 850,00 PLN for each person, which isn’t too exorbitant when it comes to such exotic journey. Our journey starts In Halifax, and ends In Toronto. During 10 days we’ll try to have the time of our lives and get to know the severe climate of this giant country. 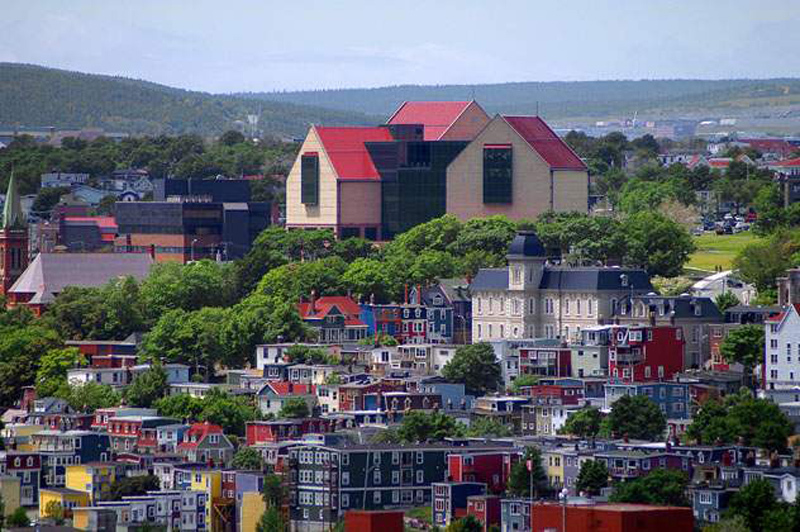 When we finally land at the Halifax airport, we can enjoy the stay in the biggest city of Nova Scotia, as our previously booked camper is already waiting for us. A curious thing about this town is the fact that the first Canadian book and newspaper was printed right here. Here was also created the first North American zoo. According to various sources, 150 victims of Titanic sinking are interred at Halifax cemetery. After seeing the province capital, we can move forward to the gabled house that inspired the setting of Lucy Maud Montgomery's classic story of the red-haired girl. Along the way we’ll pass the village of funny sounding name, Memramcook. Here’s located the majestic, steeple church of St. Joseph, which is definitely worth seeing. Its high tower can be seen from a long distance. However, if we don’t know the French language, communicating with local people may be very problematic. The next stop of our trip is the smallest of the Canadian provinces - Prince Edward Island (PEI). Access to it is provided by three scenic drives: Lady Slipper, Blue Heron and Kings Byway. People live from fishing, as well as tourism. Alluring beauty of the landscape attracts tourists, as well as the unusual as for the Canadian coast gently sloping sandy beaches. The largest city on the island is Charlottetown, which was named after the Queen of Great Britain, Sophie Charlotte Mecklenburg-Strelitz. One of the local attractions is Charlottetown City Hall, built in 1887, with its impressive construction and smooth curves of pillars. In 1984, the then Minister for the Environment officially recognized the building as a valuable historical and cultural site (National Historic Sites of Canada). After leaving Charlottetown we can finally go to Cavendish, a town well-known for every fan of red-haired Ann Shirley. 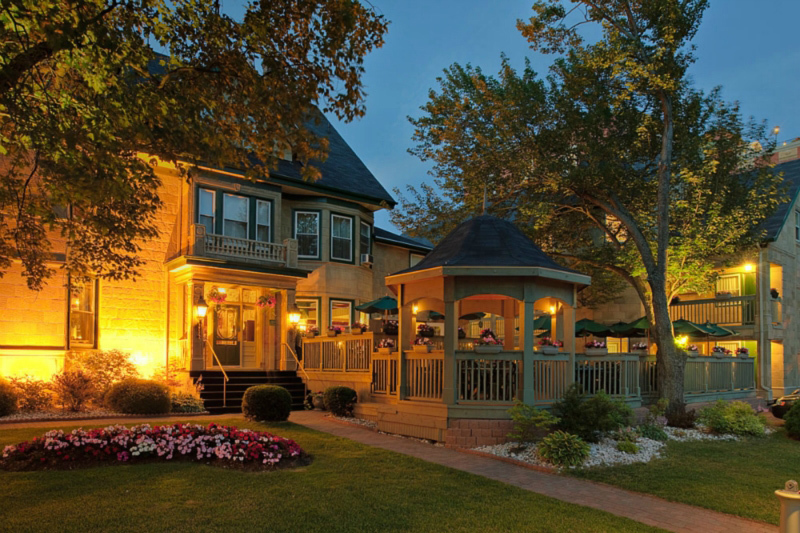 The famous hill hasn’t changed too much since the times of Lucy Maud Montgomery, however the title Green Gables (a place, where she grew up) are now a part of Prince Edward Island National Park. Visiting “Cuthbert’s farm” you can take a peek to Ann’s room, as well as see all the places described in the book. Cavendish is a charming town, distinguished by the amazing, warm atmosphere. Beautiful mansions, small, cozy cottages, coastal dunes and the legendary hill – it’s really worth to come here, and listen to the sounds of the sea and wind. 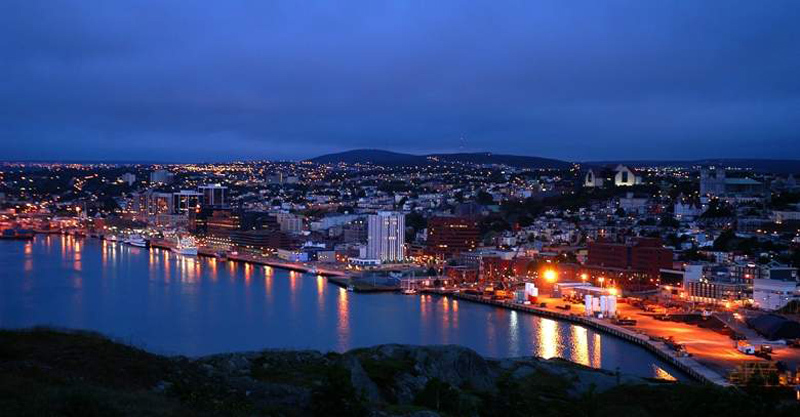 At the end of the day, we can visit Saint John. Perhaps some people thought of the capital city of New Finland and Labrador, but we’re a day’s driving away from this misty town. 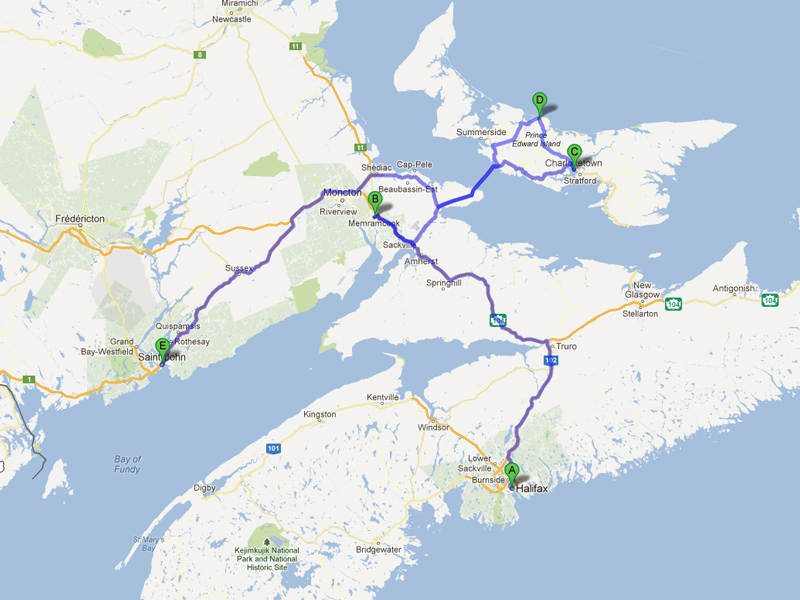 Meanwhile, to Saint John, which’s located in the province of New Brunswick, we can get in about 3.5 hours. It’s situated on the northern shore of the Bay of Fundy, at the mouth of St. John river. In this city, every building is beautiful - even the store, precisely the Saint John City Market, which advertises itself as the "farmers market". The name means a place where you can buy original products from Canadian farmers, beginning with healthy food and ending on hand craft products. You won’t find anything similar in the whole town, and that’s why it’s so unique not only for tourists, but also for the residents themselves. Another Saint John's attraction is Rockwood Park, one of Canada's largest urban parks. It has a plenty of hiking trails where you can stroll for hours, watching the animals living in the park (including a beautiful blue jay). In the winter, residents play hockey, ski and ride on britzkas. It’s a perfect place to stay - Saint John Horticultural Association offers visitors the opportunity to accommodate at Rockwood Park Campground (142 Lake Dr. South). For a day you have to pay from $25 to $35 (Canadian), but the price includes the beautiful 2,200 acres of surrounding greenery and amazing lakes. The camp has an 18-hole golf course and a stud farm, while the young tourists can enjoy a large playground and a zoo. You won’t find a better place to park your camper. 5 cities, plenty of great places to see and 732 km to cover. Another point of our trip will be Quebec. But that after a decent rest and enjoying the climate of St. John to the full. It is a town, in which you have to spend at least one day.